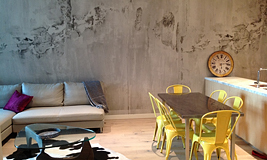 Wallpapering projects completed that are in the media, such as on Channel 9's The Block. Very popular, digital printed murals often add a life-like or horizon changing dimension that provides the ultimate atmosphere to your spaces. Some natural and neutral tones and textures that will add fashionable chic to your home. 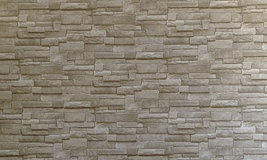 Some luxurious wallpapering finishes bringing glamour and prestige to both modern and classical spaces. Bring to your space the elegance of subtle or bold patterns and floral designs from every era right up to the modern. Commercial wallpapering projects completed in and around Melbourne in Cafe's, Restaurants, Offices, Hotels, Show-rooms, Display Homes and Salons. 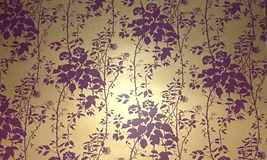 A gallery sampling wallpaper projects we've completed in residential and commercial spaces. 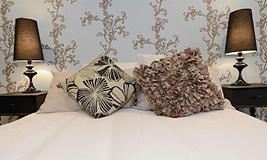 As a specialist and professional wallpapering service for Melbourne and Victoria, we install wallpaper on a daily basis. So, we are highly experienced and adept at handling a variety of wallpapers including murals, natural, textured, metallic, luxury and patterned papers. Send Us An EmailLet us know what we can do for you.